Happy Monday! 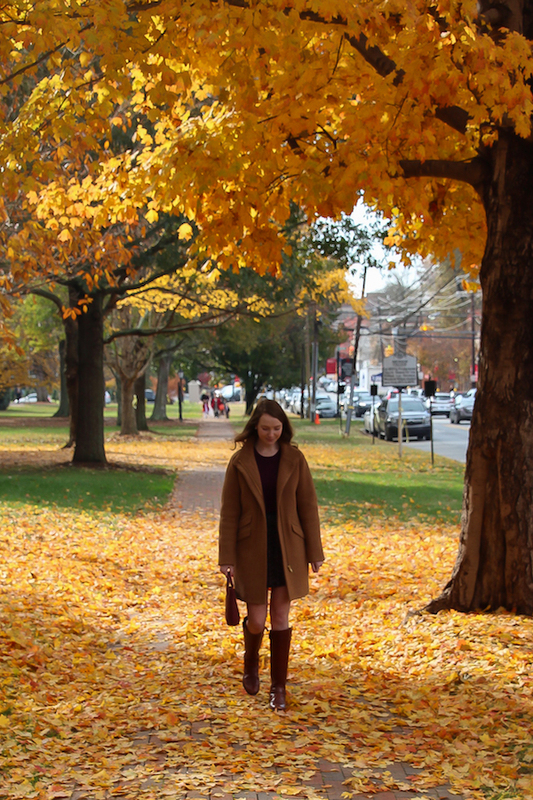 Today I'm sharing an outfit I wore at home over Thanksgiving. The deep purples and browns just scream fall to me and I think this is a great outfit to wear for any upcoming get togethers this holiday season. 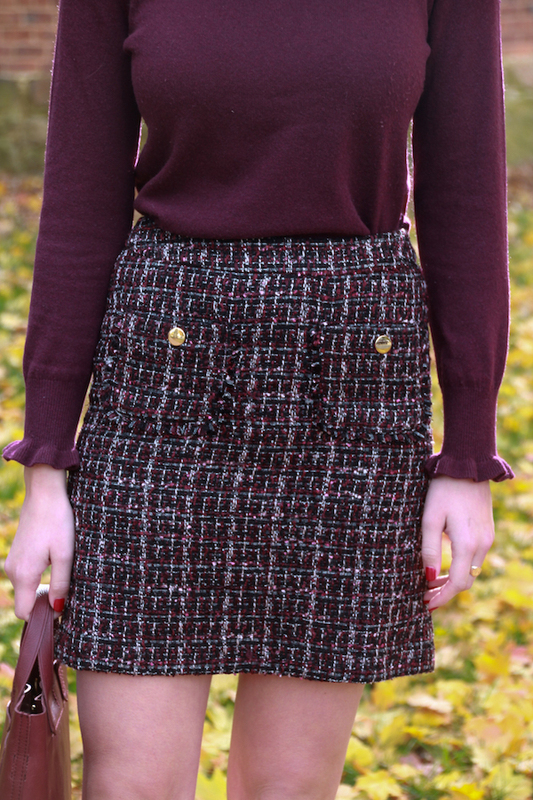 I picked up this skirt from LOFT and love the tweed and button detail on the front. I think this is a great piece that can be dressed up or dressed down! I paired it with a deep purple, almost maroon sweater and this red mini tote that I haven't left the house without since I bought it. 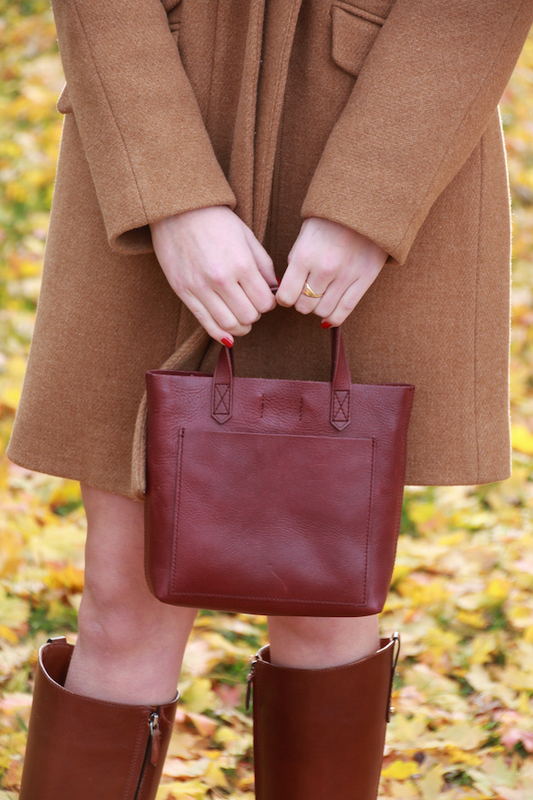 It's the perfect size for everything I need on a daily basis and is such a beautiful fall color. Nearly every item in this post is on major sale, so check out the links above. 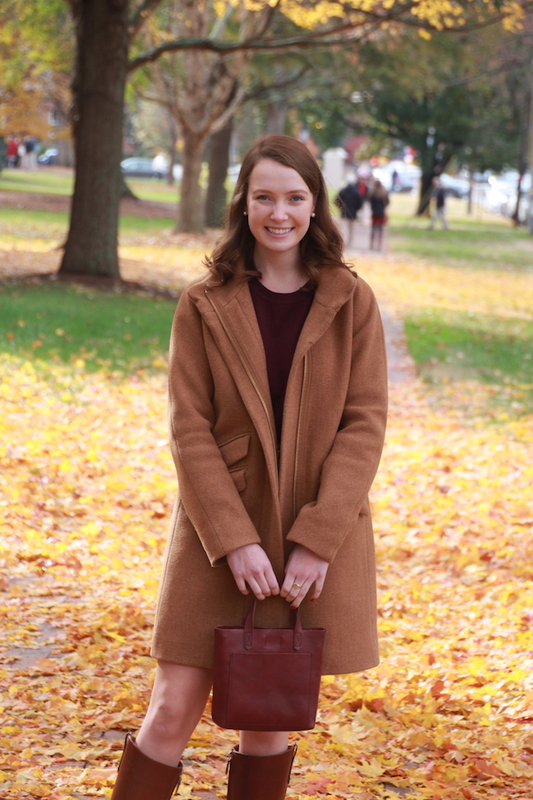 Now is the time to pick up staple items like my coat and my tote! I love this skirt, it is so gorgeous! !